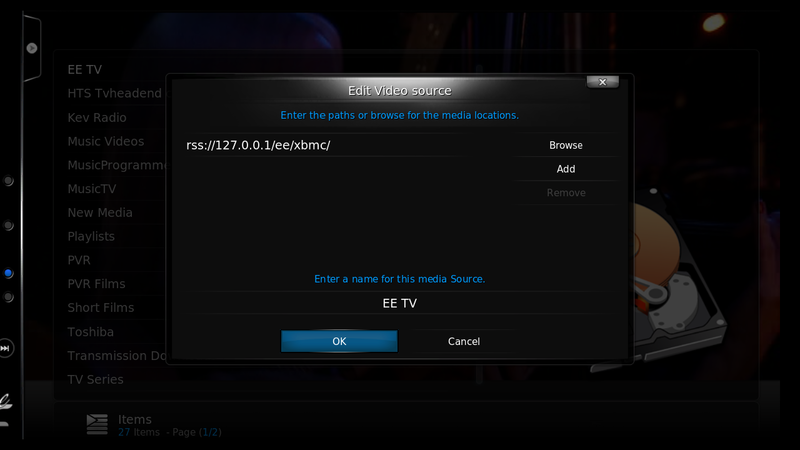 I can’t believe that such basic functionality was missing from the EE TV app, but I’m now able to set times remotely, and also cancel them (Unfortunately the app doesn’t work when connected to my home VPN as it wants to find the box via UPNP 🙁 ). 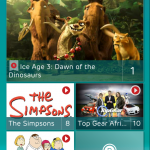 Wouldn’t it be nice if there was a basic EE TV box which you could put in the bedroom or kitchen allowing you to view content on the big screen? Well, the Web UI stuff I’ve been playing with gives me the content, M3U links etc so why not put it together in a way my Raspberry PI running RaspbMC can understand? 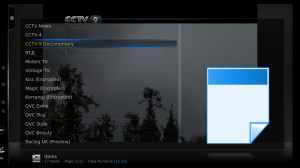 Channel List – Change channels on your EE TV box from your PC! 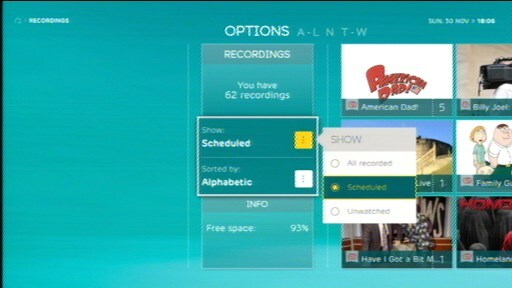 The EE TV Freeview HD box is a nifty bit of kit made by Netgem (an N8500 customised for EE) with four DVB-T2 tuners onboard. Unfortunately mine arrived DOA (faulty hard disk) which required an EE Broadband engineer to come out and swap it for a new one – it would have been easier and quicker for me if I could have nipped into an EE store, but for there less technical customers it’s understandable. 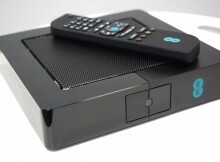 Anyway, here are my impressions / thoughts of the box after my first five days with it (originally posted over on Digital Spy but reproduced here with some tidying up) – comparisons are with my Humax 9200PVRT and the latest Sky+HD digibox. If you want a typical consumer review go over to Engadget, this will be a bit more techy. 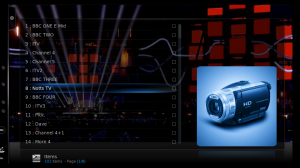 Three Wuaki.TV vouchers – one film to keep, and two 48 hour rentals. I also got the optional mini-DIN to SCART cable as the lounge TV is a bit old now! Good first impressions – it’s not often you get everything you need to get started! While running through the installation process (connecting to WiFi etc) the box is already scanning for channels in the background so with any luck they are ready and waiting for you after you’ve finished the setup. Hopster* (Was coming soon on Monday, live the following day). 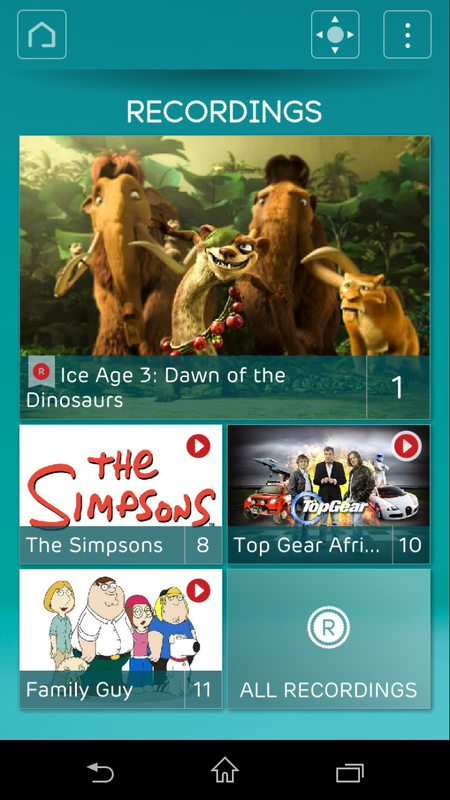 and The Box+ had received a revised UI with video quality improvements too. 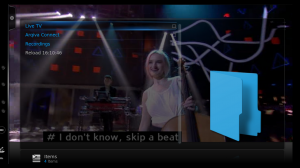 The quality of some of the apps is far from fully refined – for instance in the Box+ app the picture quality varies wildly – some times it’s not too far off the Freesat variants, at other times it looks like you are watching Lego. RTД,, CCTV News, Magic, Kerrang!, Kiss, rather soft (and really could do with having their own channel numbers), as is the streaming version of Motors TV. Vintage TV generally looks okay though. 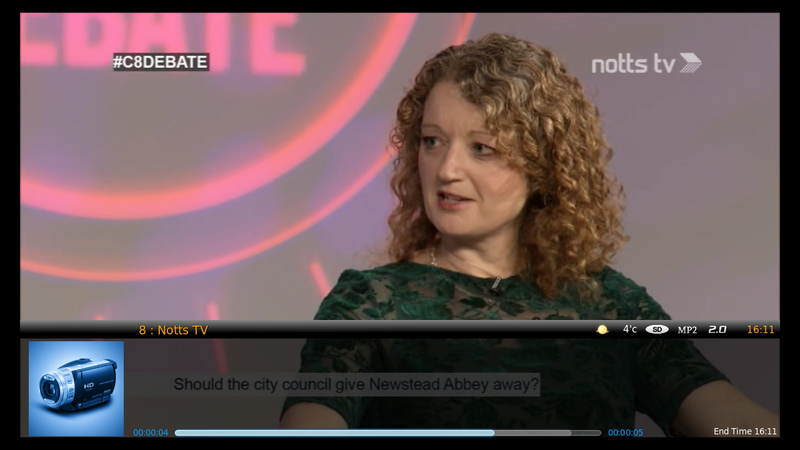 One thing which really is apparent is that the excessive overscan of some TV’s (mine included) hasn’t been taken into account (Muzu and NRJ are pretty bad offenders). 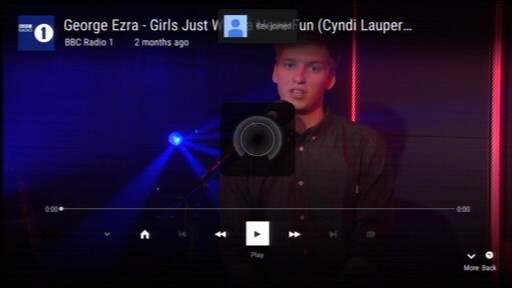 Like the Now TV App you can use the Chromecast feature on YouTube in Chrome or mobile apps to cast your videos to the EE TV box, but also like Now TV you have a five second pause between each one. 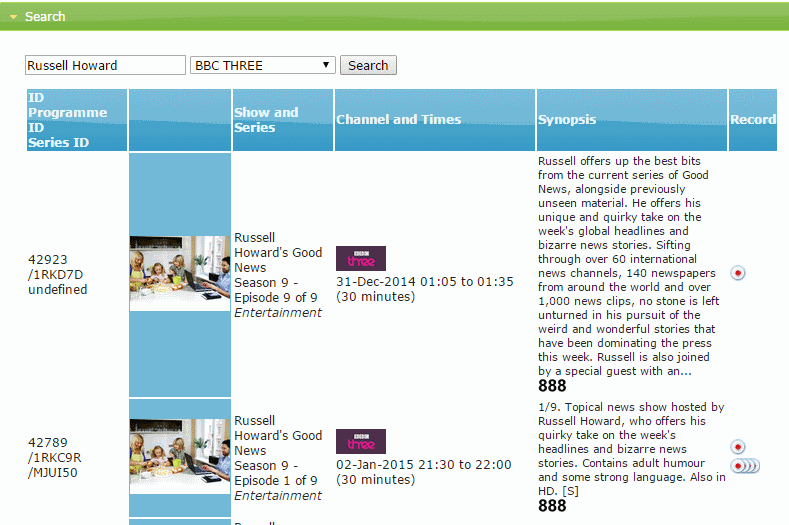 Unlike NOW TV it’s actually responsive. It’s not full on Chromecast support though – so no Google Play Music All Access for instance. The Reply option has 6, 12, 18, and 24 hours as an option. 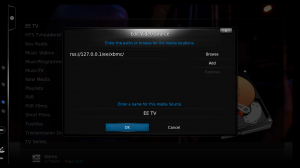 If you turn it on you can use two tuners for recording up to two programmes at the same time, if you turn it off you can record up to four programmes at the same time. 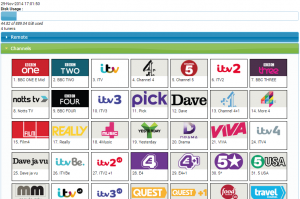 The channels you can add to reply are rather limiting though – BBC 1 -4, CBBC, BBC News, Cbeebies, BBC Parliament, ITV, Channel 4, ITV-2, More 4, Film Four, and E4.. 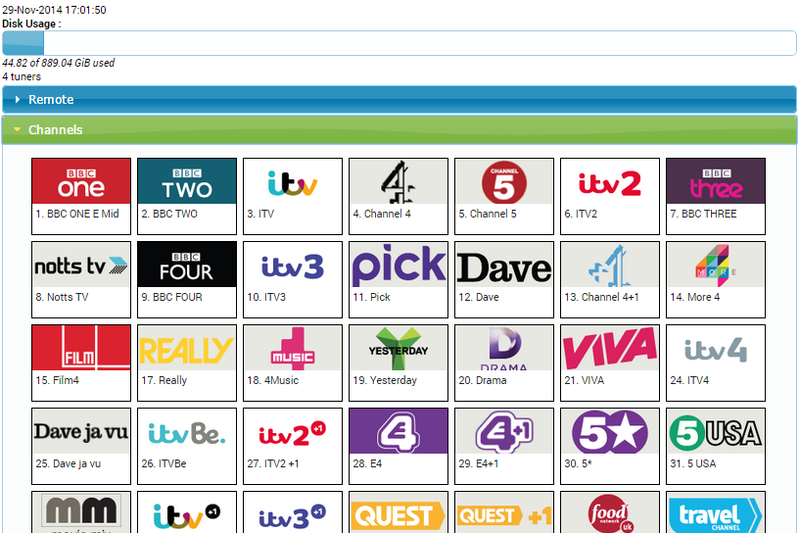 If you were hoping to add Dave or Notts TV you’re out of luck. These services aren’t quite as good as native Freeview channels though – they take a while to load, have no recording capabilities, live pause – you can do nothing more than watching them. Such a shame as they are all plain old transport streams. 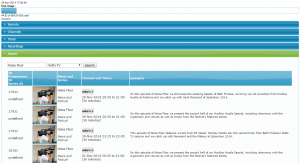 This is more an indication of the immaturity of the delivery of these via MHEG . 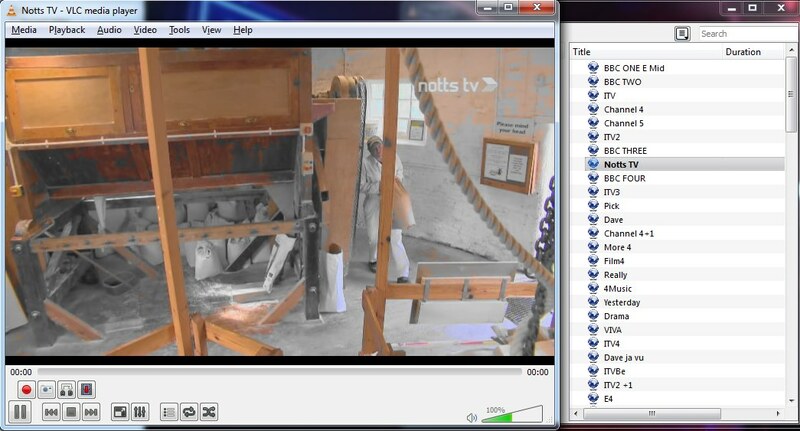 CCTV (Once you’ve switched channel you get Audio only though – i.e. you can’t watch CCTV4 or 9 and have to reload the interactive service to P+/P- to get CCTV News’ picture back). Thanks to video playback on my Nexus 7 being busted now it’s running in Lollypop I’ve not used the app much, but on my phone it appears to work well. It’s primarily designed around watching TV though which makes using it as a remote like you can do with the Sky+ App a bit of a pain. 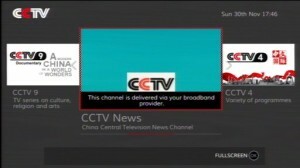 The Android app streams SD channels well enough, but doesn’t offer HD ones. 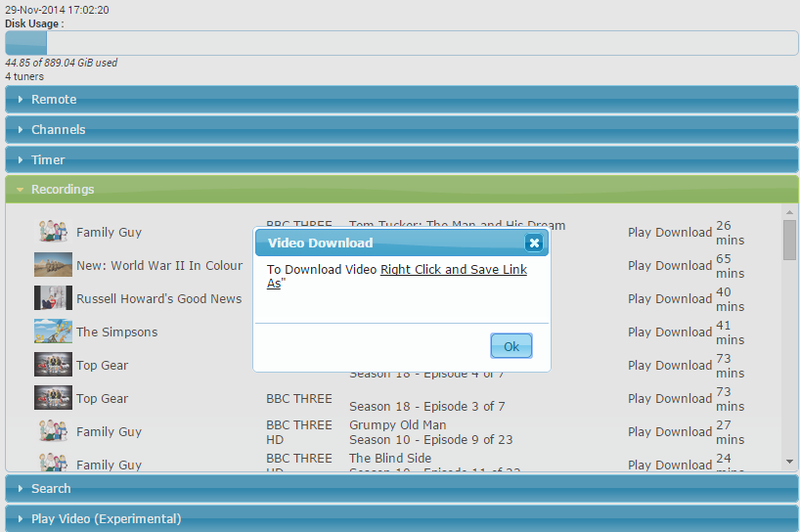 However, if you are on a laptop you can enter the world of EE TV playing around and discover it’s hidden talents. 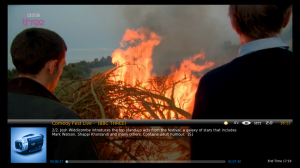 VLC isn’t able to read the EPG Data but TVHeadend (a DVB PVR package for Linux) is able too… More about that later on. On first impressions it looks like my three house keeping tasks which I do after every Freeview retune were impossible – namly no ability to set favourites, delete the junk channels, or reorganise the channel listings, however I have discovered you can hide channels which you don’t want to see by locking them on the locks menu. Unless I’m missing something you can’t add/remove apps from the home screen – e.g. I can’t replace Hopster (which is now available) with NRJ (it’s a radio player for a number of NRJ streams). 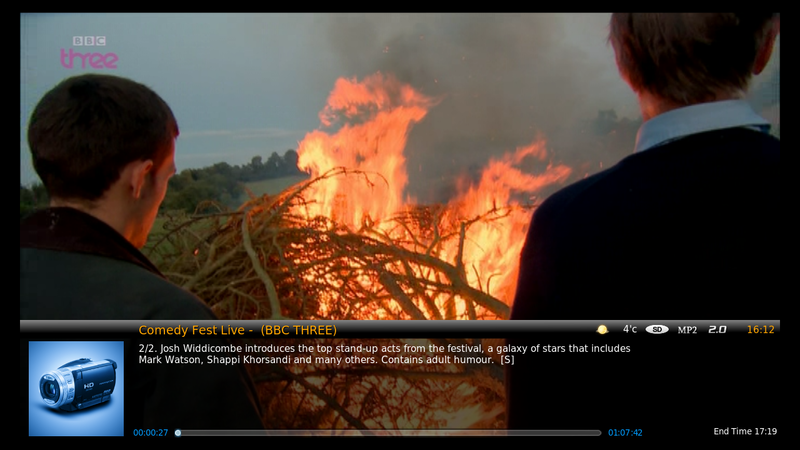 At first it looked like Scheduled Recordings were impossible to see – unlike Sky they aren’t tacked on the end of the list, and unlike my previous Freeview PVRs they don’t have a top level menu. 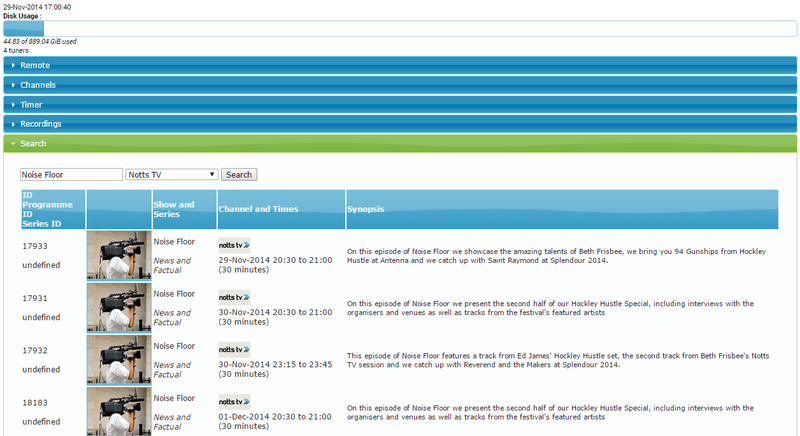 However it is possible to view them, Menu -> Recordings -> All Recordings -> Left -> Highlight “Show” -> OK and Choose “Scheduled” Then to switch back to the actual recordings do the same but selected “All recorded”…. When you plugin a USB Flash Drive you get a prompt on screen showing that’s it’s reading it, but no UI presents itself making it useless.